PixeLINK Titan cameras offer high resolution with high-speed data throughput. OTTAWA-based industrial camera maker, PixeLINK, released its Titan USB 3.0 CMOS camera line. With a resolution of 15 megapixels, the Titan PL-D7715 USB 3.0 Global Shutter CMOS camera combines high resolution CMOS technology with the high-speed data throughput of USB 3.0. 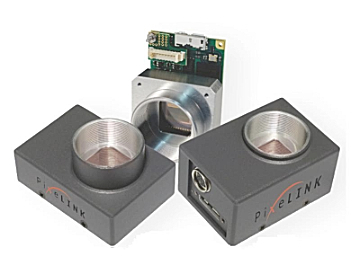 As with all PixeLINK cameras, Titan cameras can be combined with the PixeLINK Software Developer’s Kit (SDK) to integrate the camera into machine vision applications.